Modern Japanese interior design is minimalist and functional home decor. Japanese interior decor is popular for their clear cut and totally functional oriented approach. 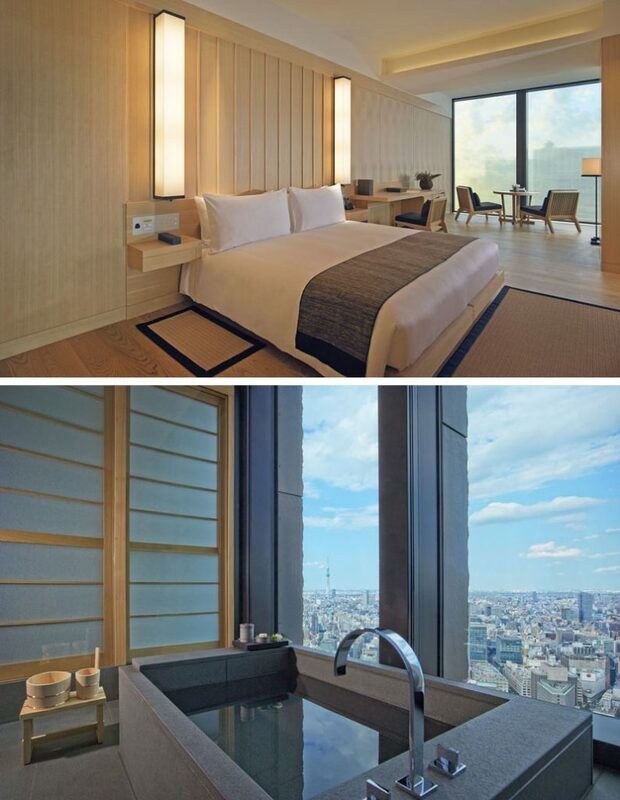 Many of us really fascinated and inspired by latest Japanese interior example of one of the hotel suit. 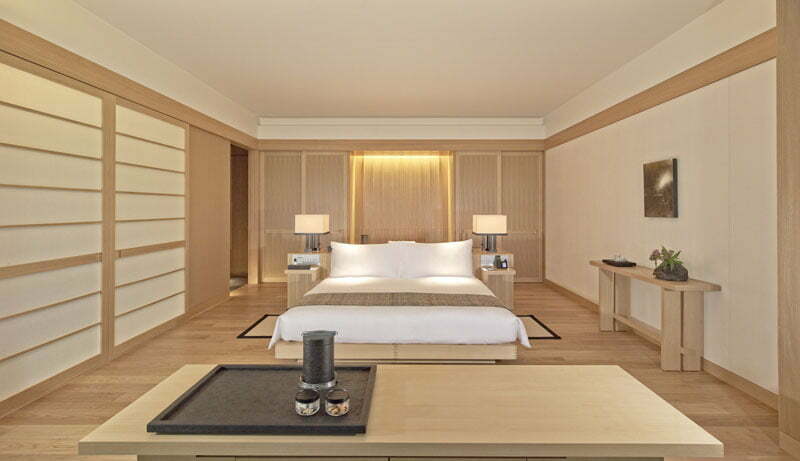 The hotel suites at the new Aman Tokyo are a delightful lesson on how to combine contemporary interior design with the flavor of traditional Japanese design to create a warm and welcoming space. Know more about Contemporary Japanese Architecture Style And Characteristics. This Japanese suites have a simple Japanese decorating style color palette. Where we see white, wood, and a dark grey/black found throughout. Meanwhile, sliding shoji screens, a standard element of traditional Japanese interior design style, stretch from one end of the suite to the other. Japanese interior design of Bedroom. The bathrooms follow the design of traditional Japanese baths, with use of charcoal-colored basalt stone tiles. 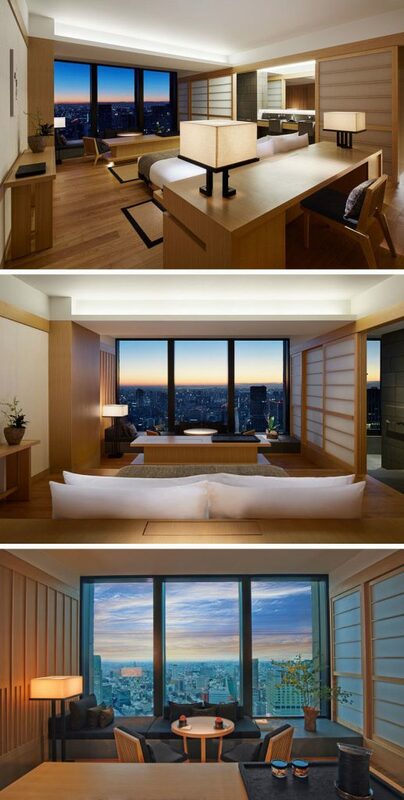 This type of Japanese decor ideas draw the eye across the room to the private on-sen with floor-to-ceiling windows. In keeping with minimalist Japanese interior design style, accessories are have been kept to a minimum. so as not to distract from the view. Some of the suites also have kitchens, dining rooms and lounges, all with minimal furnishings and picturesque views from the floor-to-ceiling windows. Japanese interior design of Dining space. Read about Unexpected Ways Japanese Style Dining Tables can give Your Interior Design Identity. So, wingers this is one fine example of Japanese design style in house decor. What do you think about this Japanese interior design style and selection of materials?. Must share your point of view over this interior design ideas of the Japanese house.